Data Selfie: This Creepy Tool Tells How Much Facebook Knows About You- Have you ever wondered how Facebook decides which advertisements to show you that will make you click on them and keep you coming back? Well, now you can check how much stuff Facebook knows about you with this free tool called Data Selfie. Data Selfie: This Creepy Tool is an open source Chrome extension which is available for free to download. 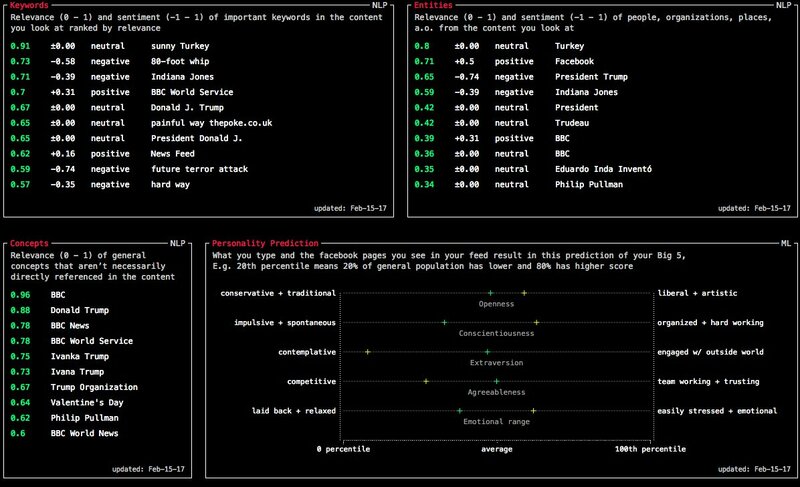 It helps you to find out what the machine learning algorithm of Facebook has learned about you, by tracking your activities on social media to understand your personality patterns. 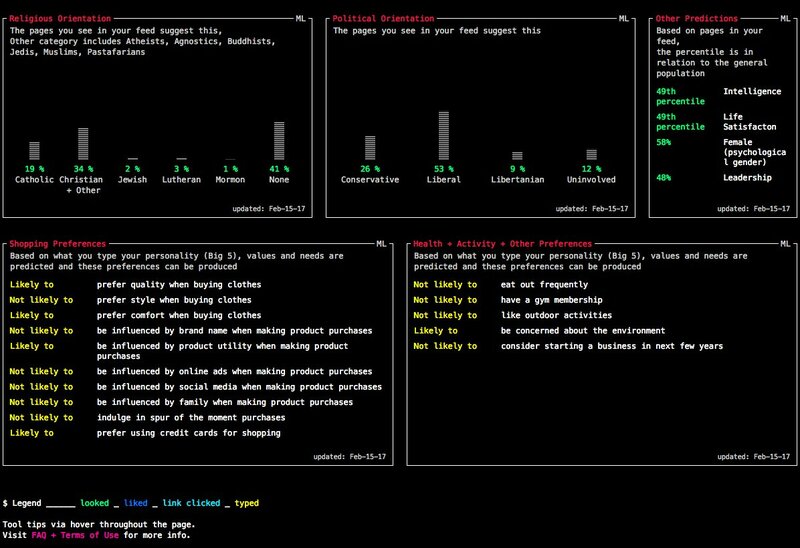 It monitors your interactions on Facebook then converts the collected data into a meaningful report. Data Selfie basically tracks the things you like and view, how long you stay at them, what you click, and what you search for & applies the powerful IBM Watson cognitive algorithm to process this data. When you download and install Data Selfie in your browser, the app starts monitoring your Facebook activities. It creepily tracks the posts that you ‘like’, the posts on which you spend the most time whether it’s a post from a friend or a liked page. Every single fragment of activity data gets logged and processed through the Watson AI. More creepy is that it starts giving predictive analysis by guessing things about you including your shopping needs, nutrient preferences, and political interests. 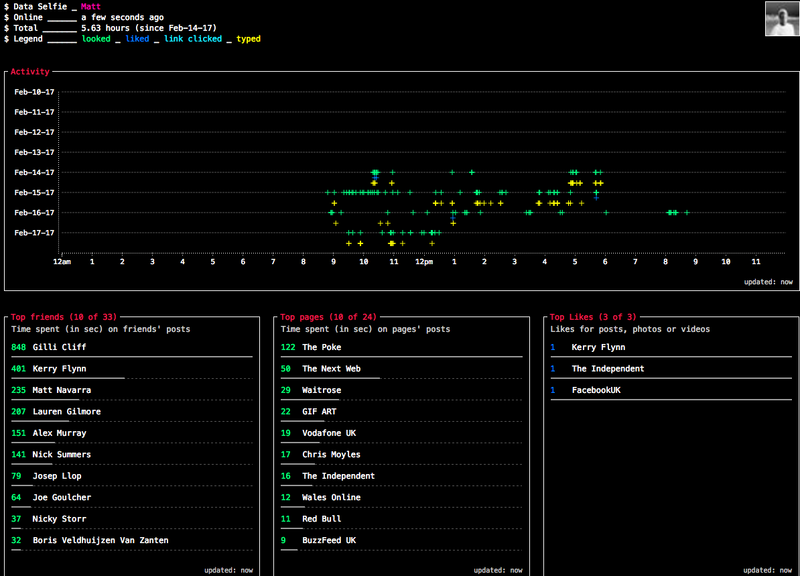 The Chrome plugin has an interactive dashboard to show the data collected and processed by machine learning algorithm. The data is broken down into various color stats to make it easy to focus on more important data. Now you might start having speculations about the way it works and for the security of your data. But the thing is that all data collected by DataSelfie stays local on your own PC no part of it goes to any external server. Also to keep the internet transparency the developer of the app has made the code for the Data Selfie public on GitHub, so other curious developers can try their hands on it. You can check the code here. If you have any suggestions for the article “Data Selfie: This Creepy Tool Tells How Much Facebook Knows About You”, do share in the comment section!